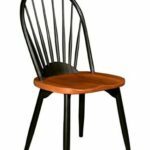 The award-winning Sunburst chair is sure to add style and interest to your dining experience whether your decor is contemporary or traditional. 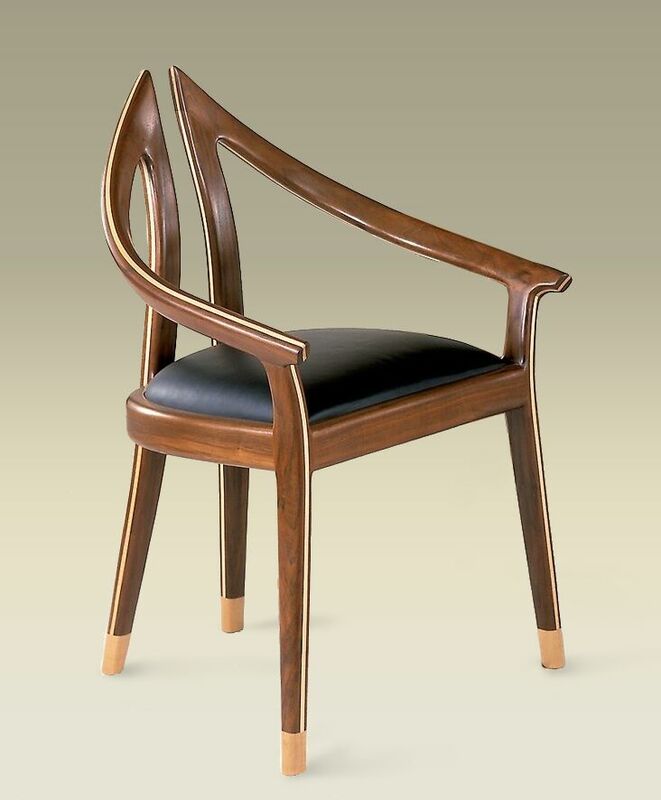 Choose a light or medium stain for the sculptured seat. 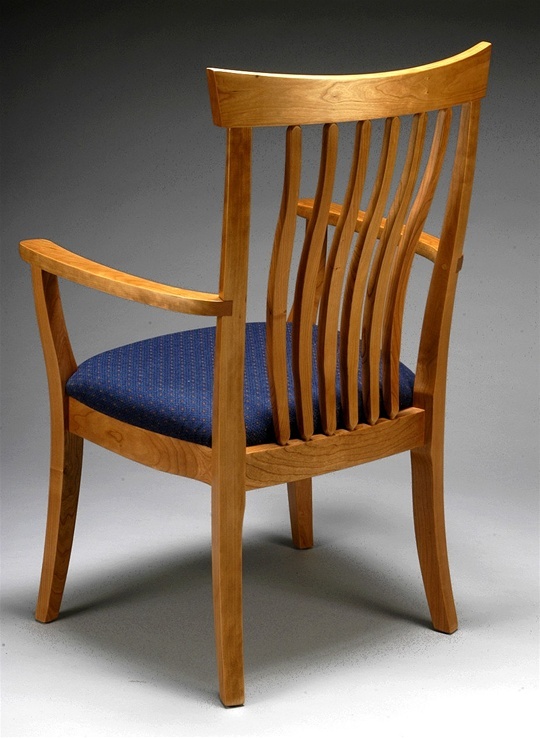 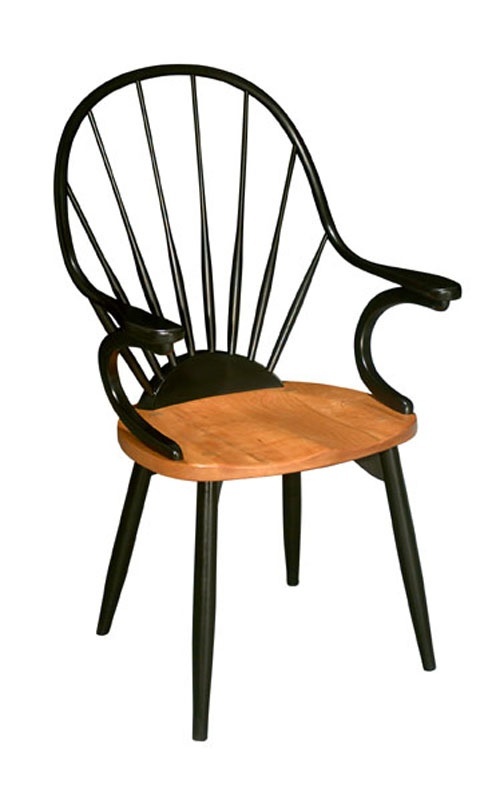 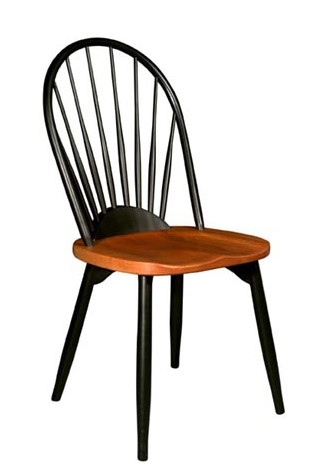 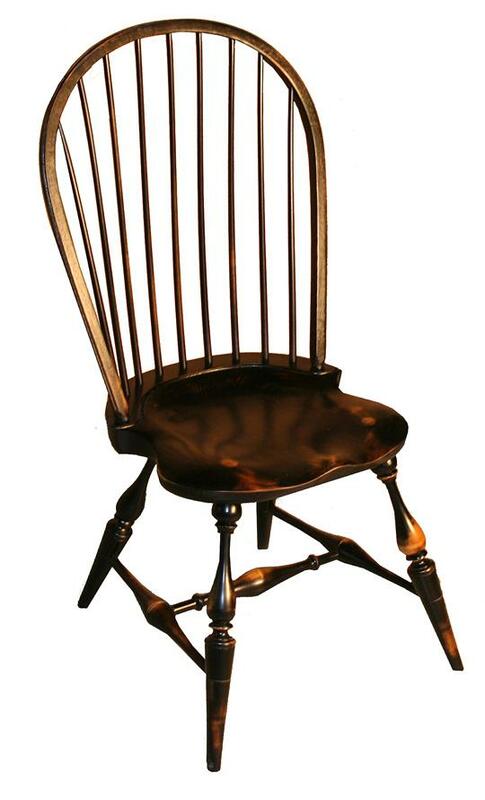 Shown in a light-stained Cherry seat with black lacquered Maple accents and a clear finish.